Armentières at last have some good basketball news with their first home victory of the season (75-62) against Basket Landes. Toulouse overpowered Challes-les-Eaux in the final quarter to come away with the victory(70-47). French international Emmanuelle Hermouet (left) fired in 24 points, hitting 10-from-12 to lead her team to victory. 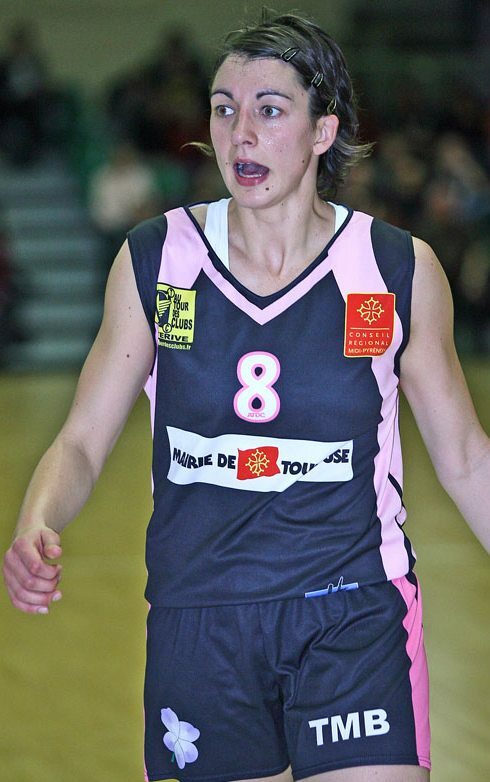 Villeneuve d'Ascq held off a late challenge by COB Calais to win (79-72)with 22 points coming from Jolene Anderson. Lattes Montpellier won a roller coaster match against Arras (84-72). Pauline Krawcszyk fired in 10 of her 24 points in the final quarter. Tarbes have won the first phase of the championship after beating USO Mondeville (88-77) and will start the second phase of the season with a 12-1 record. Laurent Buffard with Nantes-Rezé experienced his first non "EL Classico" against Bourges Basket and came out second best (69-64). Limoges were not able to end the first phase with a victory. They fell at home to Aix-en-Provence (62-75). Armentières started the game aggressively with a high zone defense. This enabled them to keep Basket Landes scoreless while they scored 6 points. Basket Landes, unable to get inside, relied on distance shooting of Anaïs Le Gluher. She went 4-of-4 from behind the arc as she brought the teams level (12-12). Basket Landes went in front through Gluher and then 4 points clear after Bineta Diouf picked up an offensive rebound from the first miss by Le Gluher (18-14). Virgine Bremont scored the last points of the first period for the hosts for her side to trail (16-18). Armentières changed tactics at the start of the second quarter with a player-to-player marking system with Kateryna Pilyasehnko (right) opening the scoring to draw level. The two teams played cat and mouse with the hosts taking advantage after a trey by Pilyasehnko to lead (27-24). Unfortunately they left Le Gluher open who fired in another trey. Mia Fisher (20 points) was given the task of marking Le Gluher and kept her away from the ball for a short while for her team to stretch the lead (37-31). However Basket Landes came back with a couple of treys to level the score. Fisher was to have the last word with her trademark drive to score the last points of the first half for Armentières to go ahead (39-37). Armentières continued with the zone system at the start of the third quarter by scoring the first 4 points. Basket Landes weathered the storm and started to take control of the game with a 7-0 run to go in front (52-45) after a trey by Sabrina Reghaissïa. Stéphane Lalart, the coach from Armentières, called for a time-out and changed his system. Pilyasehnko was quickly in action for the hosts with a trey. Fisher and Coral Duval also fired in from beyond the arc for Armentières to reduce the deficit to a single point (56-57) by the end of the quarter. Basket Landes were not happy with the officials at the start of the final quarter and allowed Armentières to regain the lead from the free-throw line (60-57) after Reghaissïa picked up a technical foul. Unfortunately Olivier Lafargue (left) continued his conversation with the officials which appeared to effect his players who also contested the decisions. Armentières took full advantage and went 10 points clear (67-57) with a trey by Valérie Labbe with just under five minutes to play. Basket Landes regained their composure. But it was too late for them to save the game while Armentières recorded their first victory at home this season (75-62). 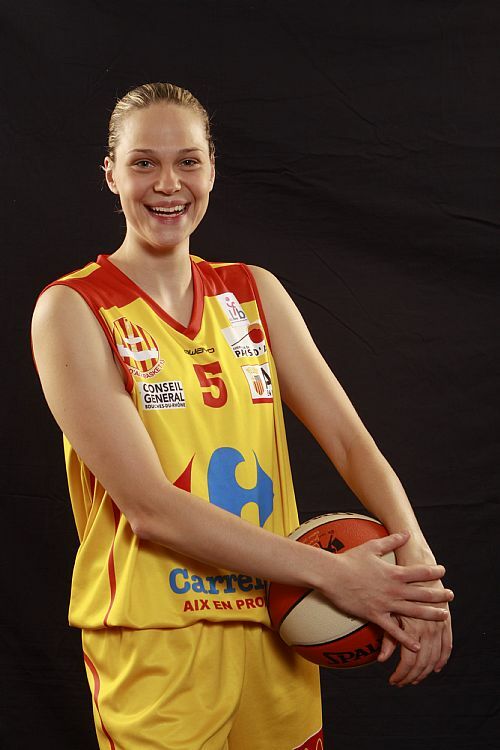 Aikaterni Spatharou played her heart out for Limoges. She finished the game with 22 points and 4 assists, hitting 4-of-5 from beyond the arc. 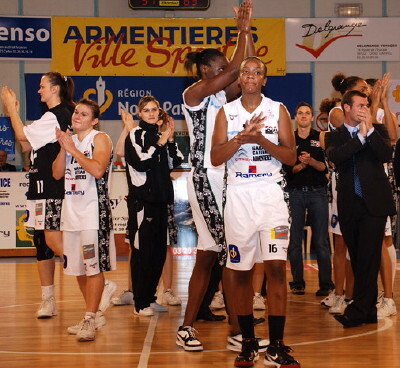 Yet her contribution with Erica Davis' 13 points and 14 rebounds was not enough to save Limoges from defeat (75-62). Tiffany Stansbury who was not that well was solid in defense while Claudia Das Neves, Julie Page and Claire Tomaszewski with 19, 18 and 17 point respectively made sure Aix got the victory. After a tight first quarter in which the guests edged (20-17), Limoges appeared to take charge of the game with a 15-0 run to lead (34-27). Aix fought back and went into the interval trailing by 3 points (33-36). Tomaszewski (right) got Aix on their way with a couple of three-pointers at the start of the third quarter. The team kept their grip on the game going into the final quarter leading (54-44). Aix-en-Provence controlled the pace of the game in the final quarter and led by as many as 17 points. For Limoges Awa Gueye picked up an injury with five minutes left to play. Aix-en-Provence won the match (75-62). 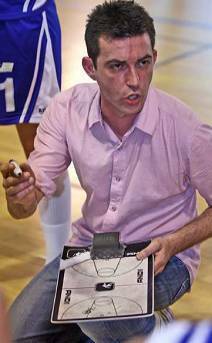 But the basketball news scoop came from Emmanuel Coeuret, the coach from Aix, at the end of match. He explained that the club was likely to change one player during the Christmas break. All the basketball news from Mondeville recently has been about the injury list. Caroline Aubert has had her operation and we hope to see her back next season. Marjorie Carpréaux (left) made her début and scored the first basket of the game within five seconds. Pauline Jannault on her return to her old hunting ground was the driving force as Tarbes gained control of the game to lead (18-12). However Mondeville finished the first quarter on level terms (22-22). Jannault's three-point shooting once again enabled Tarbes to open a lead (38-29). However 15 points by Lenae Williams kept Mondeville on the tail of their opponents (45-48) at the interval. The game remained close through the third quarter with both sides having their moments. Tarbes went into the final quarter with a advantage of 4 points. Mondeville's foul problems hit them in the final quarter: Aija Putnina picked up her 4th one with six minutes remaining while Valeriya Berezhynska fouled out with four minutes to play. Mondeville were unable to hold on defensively after this and Tarbes took full advantage to win (88-77). Nantes-Rezé took Bourges Basket to the limit in a match that turned into a physical battle. Nantes, playing in front of their largest crowd of the season, went on an 8-0 run and led (8-2) after two minutes. The teams played cat and mouse for the rest of the quarter with Nantes taking the honours (20-17). Lindsay Taylor (14 points) appeared to be enjoying herself and muscled her way past Ilona Burgrova for a three-point play (2+1). Taylor who did not have a shot last week from beyond the arc made up for that with a shot from down-town for Nantes to open up the first significant lead of the game (30-17). Bourges woke up but were unable to stop Nantes from going into the interval with an advantage (41-33). Bourges fought back at the start of the third quarter with Essence Carson (14 points) as the catalyst in a 10-1 run. This took Bourges into the lead (43-42). The rest of the quarter was a battle in which both sides suffered with players picking up fouls. Bourges' experience under pressure helped them as they went into the final quarter holding on to their advantage (52-37). It was not easy for the officials as the home fans were not happy with some of the calls. All the same Bourges weathered everything and with three minutes to play they were ahead by 8 points (66-58). Nantes had one last effort but ended up falling short (64-69). The fighting spirit of Arras is well known. Despite having players in foul problems, their coach picking up a technical they were level with their hosts from Montpellier with 10 minutes left to play (59-59). 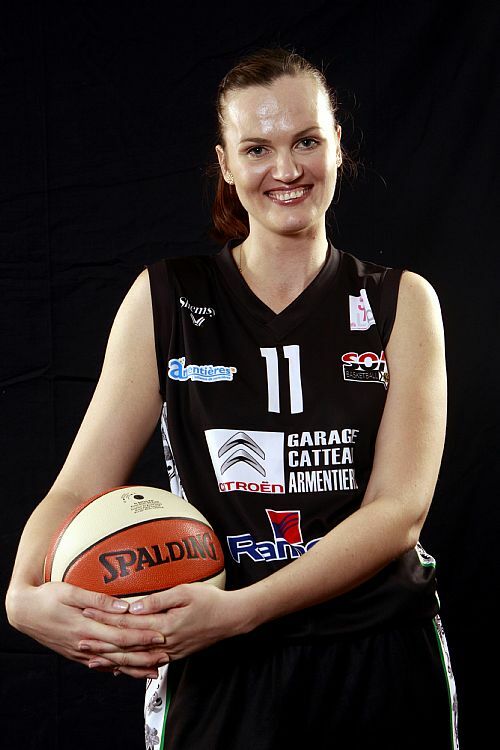 The final quarter belonged to Pauline Krawcszyk from Montpellier who scored the first 6 points. Arras did their best to stay in touch and kept it close until they lost two players with 5 fouls. 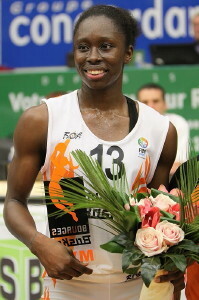 Constance Jinks contributed 18 points while Krawcszyk did the rest from the free-throw line for Montpellier to win (84-72). Villeneuve d'Ascq struggled to put away Calais despite leading by as many as 13 points early in the second quarter. Calais who are still without their captain Aurélie Cibert did not abdicate. With the game in money-time they trailed by a single point (69-70). Jolene Anderson (22 points) was fouled by Joyce Cousseins-Smith (22 points) while attempting a three-pointer. Anderson made all three free-throws. However Iva Roglic fired in a three-pointer for Calais to set up a tense last minute. Ingrid Tanqueray swung the match finally in favour of Villeneuve with back to back scores as they went on to win (79-72). Toulouse did not have the best of starts at home to Challes-les-Eaux and trailed (14-17) by the end of the first quarter. However they changed things around in the second quarter and went into the locker room ahead (32-21). Challes-les-Eaux never recovered and Emmanuelle Hermouet from Toulouse was having one of those days when missing was difficult. Her only two misses came from shots from beyond the arc. Toulouse controlled the game and won (70-47). At the beginning of the season, the basketball news from Challes-les-Eaux was that the club hoped to finish in the top 4 at the end of the season. They are currently in 9th place, four games behind the team in 4th place.